The FULL SPECTRUM LED GROW LIGHT is the most revolutionary plant lighting product. Consuming only 36 watts of power (little more than a night light) and producing virtually no heat, it boasts light intensity and growth rates exceeding that of a 600W HPS. The concept of the FULL SPECTRUM LED GROW LIGHT is simple – it uses highly efficient LED’s, these LED’s uses only the exact light spectrums required for photosynthesis, and uses wide angle directional bulbs. Our full spectrum grow lights may be the only grow lights on the market that utilizes UV ( Ultra Violet ) LED's. 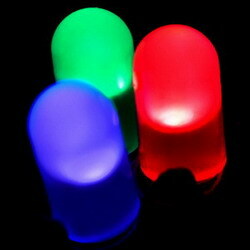 These LED's are for the radiation factor in order to make the light closer to Sunshine or Sun Light. The LED is one of the most efficient light sources in the world (lumens per watt). By using only the spectrum required, no light is wasted. The directional LED’s ensure 100% of the light is pointed downward for ultimate growth potential – there is no need for reflective materials to direct the light. 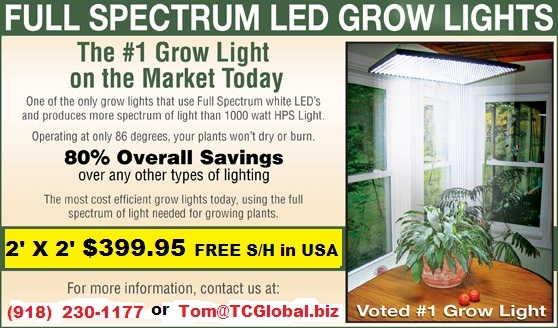 The FULL SPECTRUM LED GROW LIGHT has more growth coverage than any LED grow light available. It can be used in all cycles of plant growth ( Covers 16 square feet from a minimum distance. ) It can be used in any application – hydroponics or soil, home or greenhouse! The LED light panel and frame. Three Year Warranty - one year complete coverage, two years prorated. Pricing : We stock a 24" X 24" Grow Light, but custom sizes and configurations are available, please contact us for options and pricing. Stock 24" X 24" Grow Light which covers approx. 48" X 48" area or 16 square feet coverage of usable light. 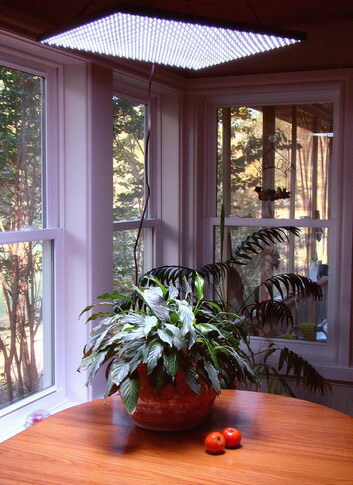 *Free shipping on standard 24" x 24" grow lights to U.S. customers only. MANUFACTURER DIRECT, NO MIDDLEMAN, THIS ENSURES THE LOWEST PRICE POSSIBLE! We respect your privacy !!! If you want, we can ship your order to a UPS depot near you where you can go and pick it up. Just ask us or enter it into the comments section of the shopping cart. *Not intended for outdoor use.